Who is God and what is he like? How can we know for sure? What is his involvement with our world? Who are we and what are we really like? How does God plan to fix what is broken, to redeem his creation? What did Jesus come to do, and what will he do when he returns? How does a person become a believer in and follower of Jesus Christ? Why are some people who claim to be Christians Christ-like in so many ways and others who claim to be Christians, well let’s just say, rather significantly different from Jesus? How can the latter be more like the former and most importantly all of us like Christ himself? What is the purpose of the church? How can the church do it’s work more effectively in the world? What does God’s Word, the Bible, say about the future, ours as individuals, and that of the world? And how do the answers to all these and other questions we’ll explore help us in very practical ways? The purpose of this Web site is to explore the answers to those and the other great questions of life and eternity, looking for the answers in the most trustworthy and authoritative places that exist. The Bible tells us that God reveals his truth in two ways: in his Special Revelation, i.e., the Bible and Jesus Christ to whom the whole Bible points (e.g., Psalm 19:7-14; Matthew 5:17-18; 2 Timothy 3:14-17) and in General Revelation which all people can see empirically (e.g., Psalm 19:1-4; Revelation 1:20). God’s Word also informs us that these two sources of truth, rightly understood, never contradict each other but complement each other. Careful science is a part of God’s General Revelation, and thus it will be used here together with the Bible to answer these and other questions and issues confronting us today. Nevertheless, the Bible is the standard against which all else is to be evaluated. This Web site is a work in progress. I will be adding articles and essays as time permits. Some of them are just about ready to post, so do keep checking back. I have a lot on my plate right now, but I expect to soon be able to post more. Let’s keep in touch. After I finish some major projects, I plan to open the Comments segment of the Web site. I look forward at some point in the not too distant future to dialoguing with you about these very important matters and any other questions or comments you’d like to make. In my writings all quotes from the Bible, unless otherwise indicated, are from the New International Version (NIV). Pastor Edward D. Seely, Ph.D.
Edward Seely is a retired pastor and college and seminary professor. He was born and raised in New York State and ordained in 1966 in the Reformed Church in America, the oldest Protestant denomination in the United States with a continuous ministry since 1628. 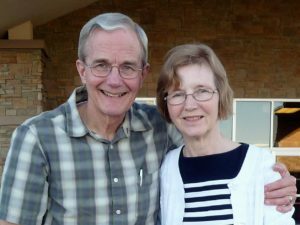 He served churches professionally in the Midwestern United States for 37 years, specializing in the educational aspect of the ministry, during which time he also taught as Adjunct Instructor in Religious Education at Western Theological Seminary in Holland, Michigan. During his years in church ministry he worked as a minister of education, including youth work in the early years of his ministry and as a supervisor and mentor of youth ministers. Most of his ministry in the church was in adult education and as a worship leader. His integration of historic Christian systematic theology with church ministry was, and continues to be, a hallmark of his work. He’s traveled widely, including conducting teaching tours to the lands of the Bible and church history in the Middle East and Europe as part of his work for 24 years as Minister of Education at Christ Church of Oak Brook in Oak Brook, Illinois, which conferred upon him the honor Pastor of Education Emeritus. He’s taught at pastors’ seminars in the United States throughout most of his ministry and also in Europe, Africa, Asia, and Latin America. Throughout his ministry, he has lectured and spoken on panels in many academic institutions, churches, and community settings, locally, nationally, and internationally. The last five years before retiring in 2007 he taught in Grand Rapids, Michigan as Adjunct Professor of Education at Calvin College and in the education department at Calvin Theological Seminary, where upon retirement he was granted the honor of Adjunct Professor in Educational Ministries Emeritus. In addition to teaching general education courses at the seminary, he taught youth ministry there and at the college, where he was also ministry advisor for students who wanted to study for professional ministry. While at Calvin he also served as founder and Manager of the Ministry Resource Center with the Calvin Institute of Christian Worship. The Ministry Resource Center is a permanent special collection of The Hekman Library and is jointly sponsored by Calvin College and Calvin Seminary. He’s written several books and contributed to several other books. His published books include Teaching Early Adolescents Creatively (Westminster Press). He has written chapters in several other books and many articles in both the popular and scholarly literature, including a two-year column, “Tips for Teachers,” in The Church Herald and an ongoing column, From Acorn to Oak, in other church publications. He and his wife, Carol, were married over 48 years until her death. He is grateful to God for her. Carol was a wonderful wife, mother, grandmother, partner in life and ministry, and best friend, volunteering countless hours in the churches they served and at Calvin College and Calvin Theological Seminary, where Carol also had a volunteer ministry teaching English as a Second Language to international students as she did in Chicago at Christ Church of Oak Brook for most of a quarter of a century. They are the parents of two children and two grandchildren. His priority remains their family, serving in his local church home, and continuing to write. His writing includes aspects of church education ministry and a manual for teaching Christian worship in and for the church, as part of his continued relationship with the Calvin Institute of Christian Worship as a research associate. Based on a version he wrote for use in Africa, Mexico, and other countries in the two-thirds world, the new edition is a Biblical study of worship related to the West. He has several other writing projects, one of which is this Web site, www.fromacorntooak12.com. He’s active in other services for the global church in the extension and nurture of God’s kingdom. He daily engages means of participating in dialogue with others in the public square, locally, statewide, nationally, and internationally. Dr. Seely has been active in interdenominational church and civic work. He was elected to membership in the scientific honor society of Phi Kappa Phi and the educational honor society of Phi Delta Kappa. He has taught in-service teacher education seminars for public school teachers in metro Detroit and Chicago. Dr. Seely received his degree in English from Hope College in 1963 followed by degrees at Western Theological Seminary—1966 B.D. (M.Div. ), Theology; Western Theological Seminary—1970 Th.M., Religious Education, Theology; Michigan State University—1980 Ph.D., Curriculum Research. A word of gratitude is necessary. First of all to our triune God including the Lord Jesus Christ who has given us all life and those in Christ life eternal, beginning already in part now and yet to come in its fullness when he returns. As James 1:17 reveals, every good and perfect gift is from God the Father, including this Web site and all the countless blessings that have been given to provide what is herein. I’m grateful for my precious wife, Carol, now in heaven with God and without any more pain or suffering forever! As my soul mate, she was the most wonderful wife I could have asked God to give me, and indeed she was from God’s hand in answer to many fervent prayers. She engaged in ministry with me, taught me a lot, and, humanly speaking as the apostle Paul would say, much of what I am has been due to her gentle and wise help, which is interwoven through a lot of the content in the documents on the Web site, especially on the Marriage page. For more about Carol, see above. I’m also grateful for our family, our extended family–including for Carol’s and my parents who introduced us to Christ, the Bible, and the holy catholic church, and Carol’s brothers, strong believers in and followers of the Lord Jesus Christ, who are also my brothers and who are very wise and thoughtful–and our children. It was a privilege and a pleasure to live so many years with our children and to see them come to faith in Christ Jesus, mature in him, and testify to him. They were and are huge blessings to their mother and me. They both have shared with me information and insights that have enriched my understanding of many subjects. I want to thank Amy Lay, who has translated so many of my writings into the official Mandarin language of China, in both the Simplified and the Traditional forms, and her husband, Dr. Hong-Ming Lay, a highly respected Chicago surgeon who has encouraged Amy to spend so much of her time making these resources available for Chinese people not only in China, including Hong Kong, and Taiwan but also in Malaysia and Korea as well as in the United States and elsewhere in the world. I have known Amy and her family since 1979 when they joined the church which I served as Minister of Education for a quarter of a century, and I’m grateful for her careful attention to the meaning of words in both languages and how she spends much time making sure she chooses the right words in her translations to communicate the concepts that, as usual in such work, cannot always be rendered word for word but must be expressed in phrases understood and used by Chinese people. I also wish to thank my brother in Christ, Jim Found, who has helped me set up this Web site and has taught me how to manage it. 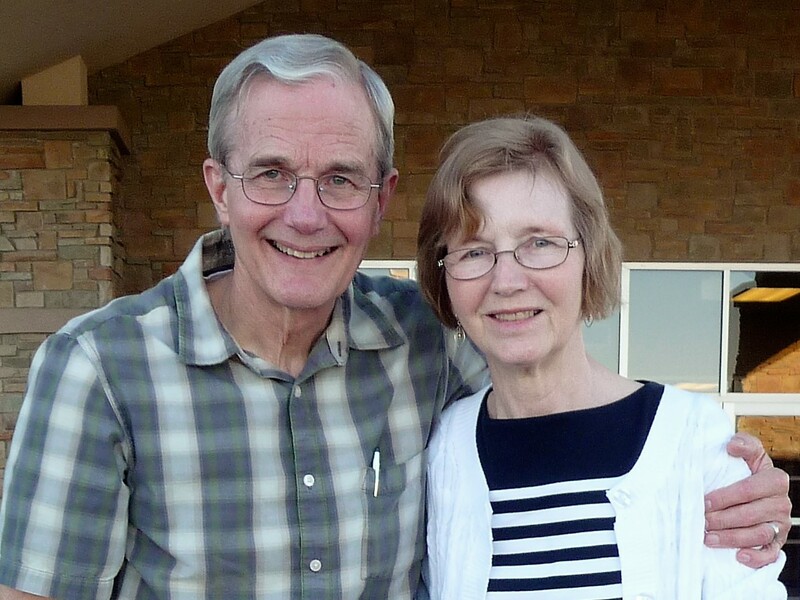 I’m grateful that Jim, an outstanding educator, who with his wife Sue served the Lord and Chinese people for many years, has provided links to his Web site that connect readers of this Web site with valuable resources on many subjects including in the Chinese language.